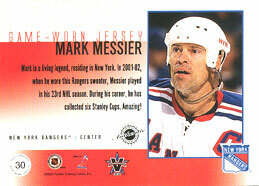 Mark Douglas Messier (born January 18, 1961) is a former Canadian professional ice hockey centre of the National Hockey League (NHL). 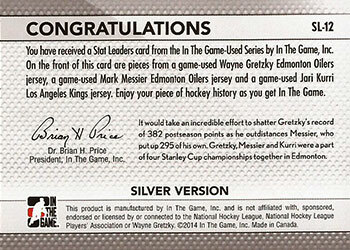 He spent a quarter of a century in the NHL (1979–2004). 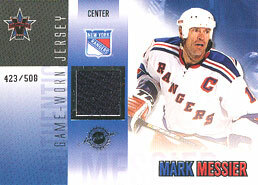 Mark Messier is considered one of the greatest NHL players of all time, as well as among the greatest leaders in sport history. He is second on the all-time career lists for regular season points (1887), playoff points (295) and regular season games played (1756). 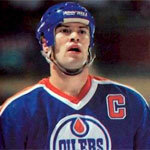 He won six Stanley Cups, five with the Oilers and one with the Rangers, and is the only NHL player to captain two different teams to championships. Due to his size and strength, he was nicknamed 'The Moose'. 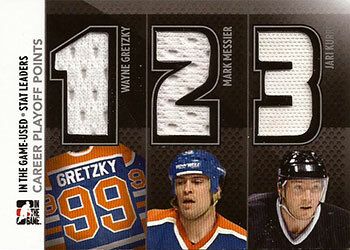 In 2007, he was inducted into the Hockey Hall of Fame, in his first year of eligibility. Although a magnificent player, he was also feared by his opponents as he was sometimes known to be aggressive during games.